A facsimile reprint of the 1897 edition. 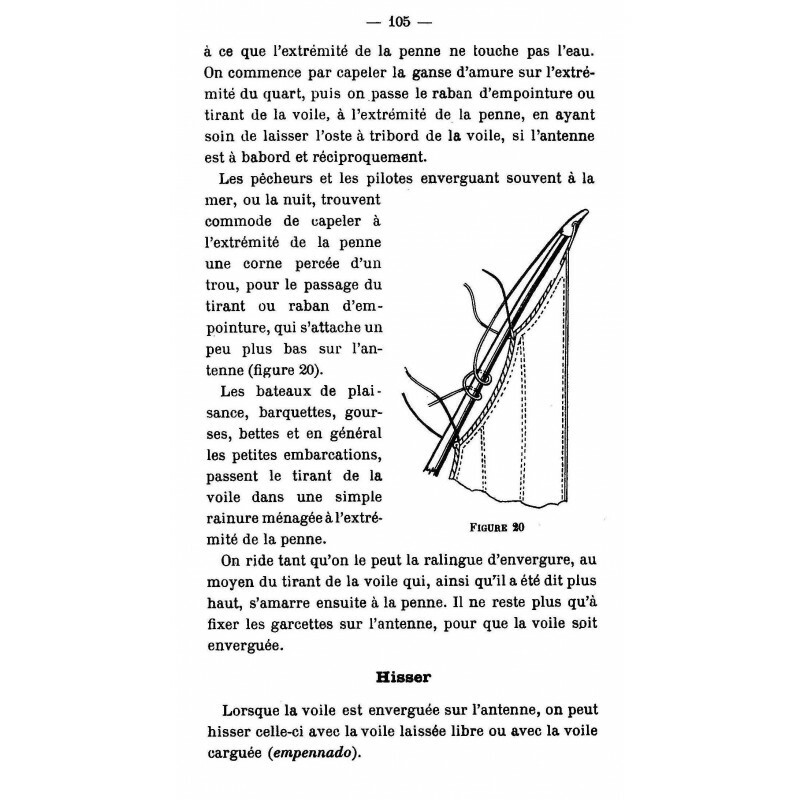 An engineer on naval construction sites, Jules Vence published his book " in order to be useful to industrious workers using their spare time to build ships, so as to increase their resources". 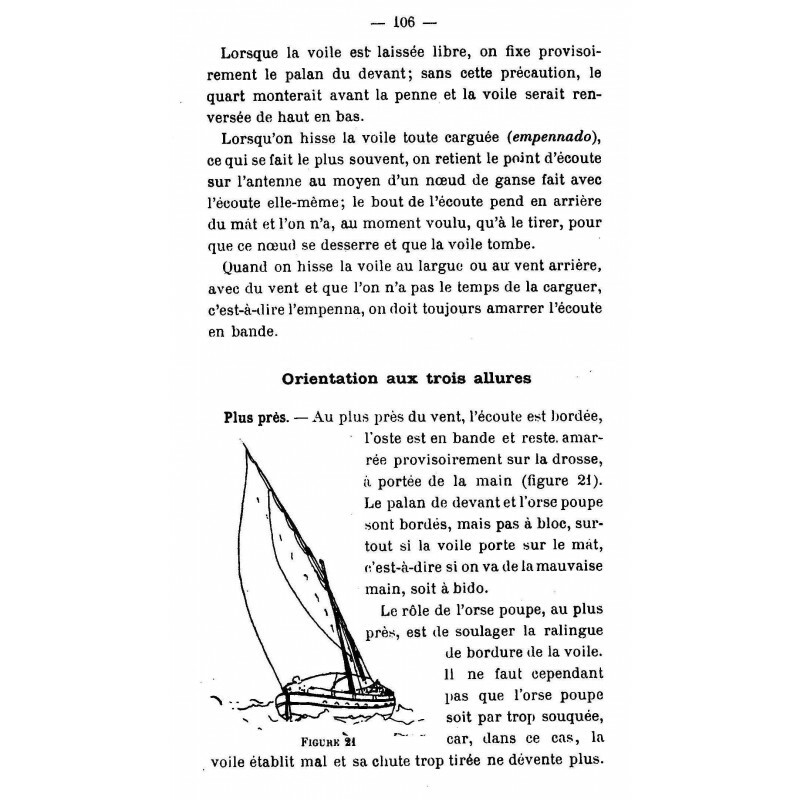 CONSTRUCTION ET MANŒUVRE DES BATEAUX ET EMBARCATIONS A VOILURE LATINE (Building and manoeuvring lateen-rigged ships and boats) is a handy book giving all information (such as plans, types and samples of wood used, nailing, fitting and rigging), necessary to build the small ships that cruised the Mediterranean coast between the Etang de Berre and Antibes. 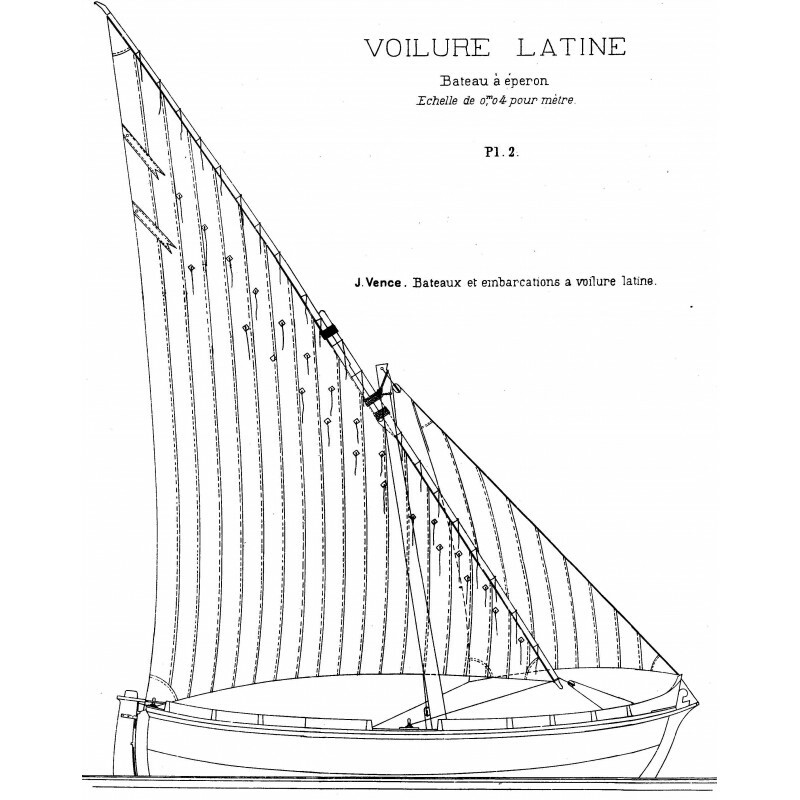 The book contains plans (8 inset plates) and include every detail regarding the building, rigging, and use of head ships from Marseilles; ships from Toulon called "rafiaus" or "pointus"; Gourses; Barquettes (small crafts) and Bettes (lighter barges). Plates (at 1:25 and 1:20 scale) allow the readers to build high-quality models. "Sé mi counouissés pas, mi toqués pas"
"If you do not know me, do not touch me". 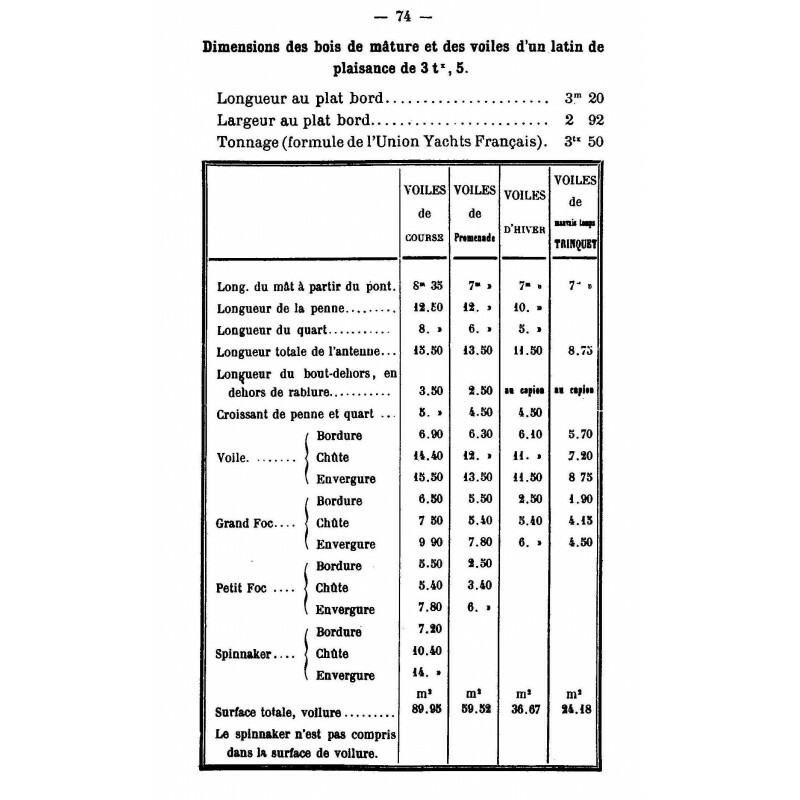 A French-Provençal and Provençal-French lexicon evokes the time of galleys and chebecks. 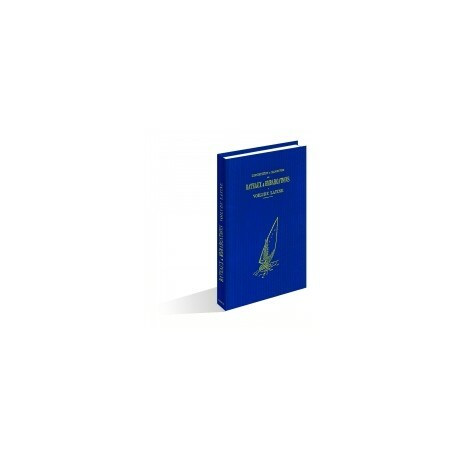 It is a complete work of its period, and has no equal as a study of the "little navy" in the western Mediterranean. Every amateur and sea-lover, and every ship's model builder will want this book on his or her shelves. Single volume In-8°, 139 pages with 26 figures, 5 plates in the text and 8 inset plates. Full sea-blue cloth binding with headband and bookmark. Gold-lettered title on cover and spine.